As 2018 arrives I’m delighted to be able to look back on the past year, exhale slowly and express gratitude for making it through! Although it was tough at times, I met and re-connected with some truly awesome women and there were some incredibly special moments. 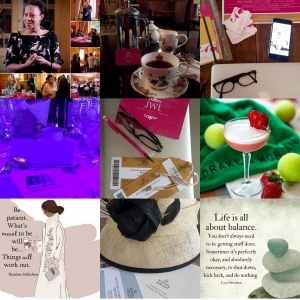 I’m loving our Ladies Who Lunch #2017bestnine Instagram posts which featured some lovely images including, the Make It Happen Happenista retreat facilitated by Jenny Garrett * a morning at Sketch enjoying velvet smooth Blue Mountain coffee * final preparations for our Abu Dhabi Ladies Luncheon * Attending the BBBA’s with Geoffrey Williams * the LWL Ascot Race Day * Wimbledon inspired cocktails and two inspiring Monday morning quotes…. Pheeeew! Also, like to thank everyone who has supported my Rocking Ur Teens empowerment project which was co-founded with Geoffrey Williams and Jenny Garrett. 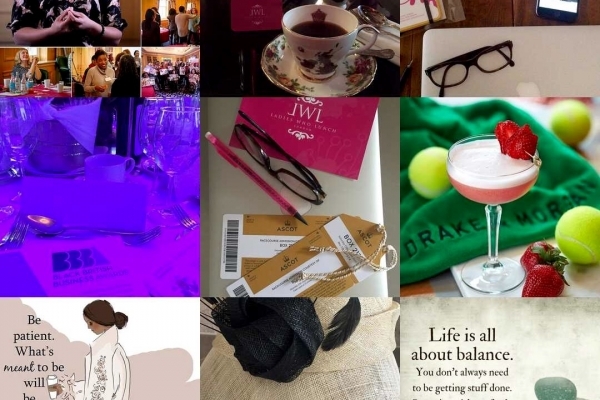 I’ve taken the opportunity to reflect on how the support and encouragement of my connections has enriched my year and encouraged me to keep on being me! We’ve got some special events planned for 2018 and I’ll be sharing more details with you soon.